Fall is right around the corner, which means pumpkins, sweaters, and soup! 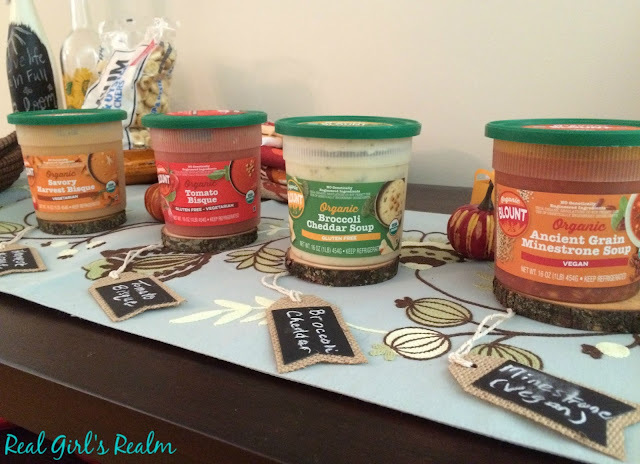 I am jump starting the season with a "Welcome to Fall" Gourmet Soup Tasting Party. I am one of those people who does not like to eat soup during the summer; can you relate? Since the weather is starting to cool down a little, it is the perfect time to introduce soup back into my meal planning and have an excuse to get together with my girl friends! 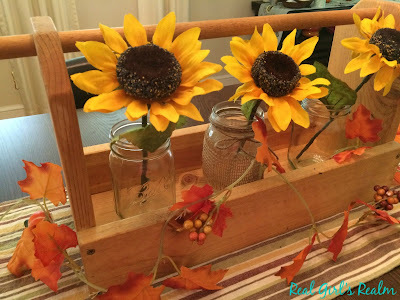 I wanted to create a fun, fall centerpiece for the party. 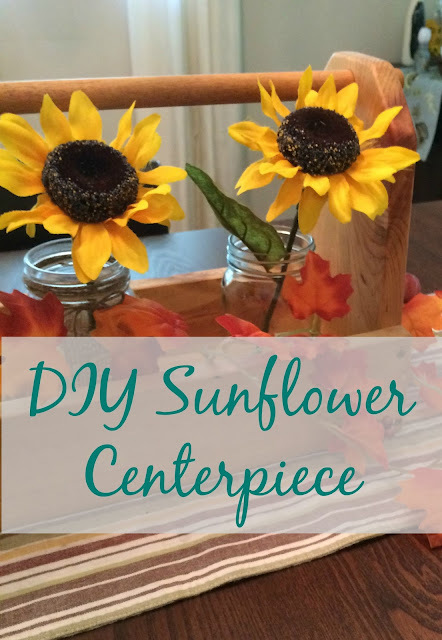 I love sunflowers and they are a great transitional flower to decorate with, so I used some of the items I already had on hand to create a pretty floral arrangement. Measure the burlap ribbon around the jar and cut to size. Use the hot glue gun to affix the ends to the jar. 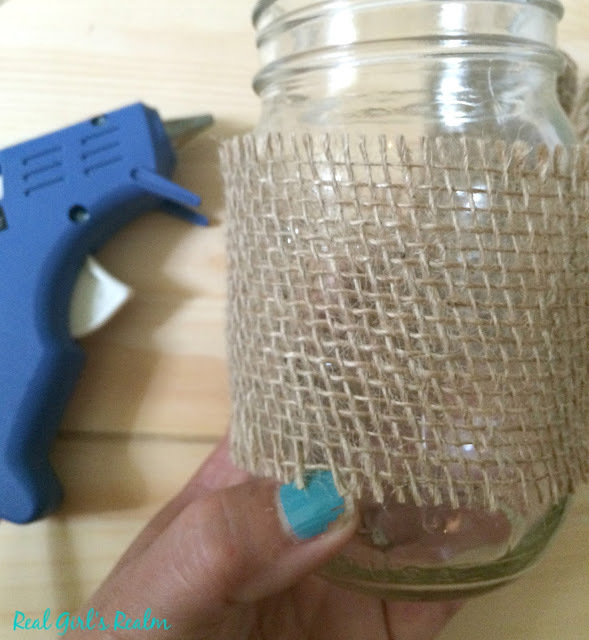 Wrap the twine around the mouth of the jar a few times and tie in a bow. 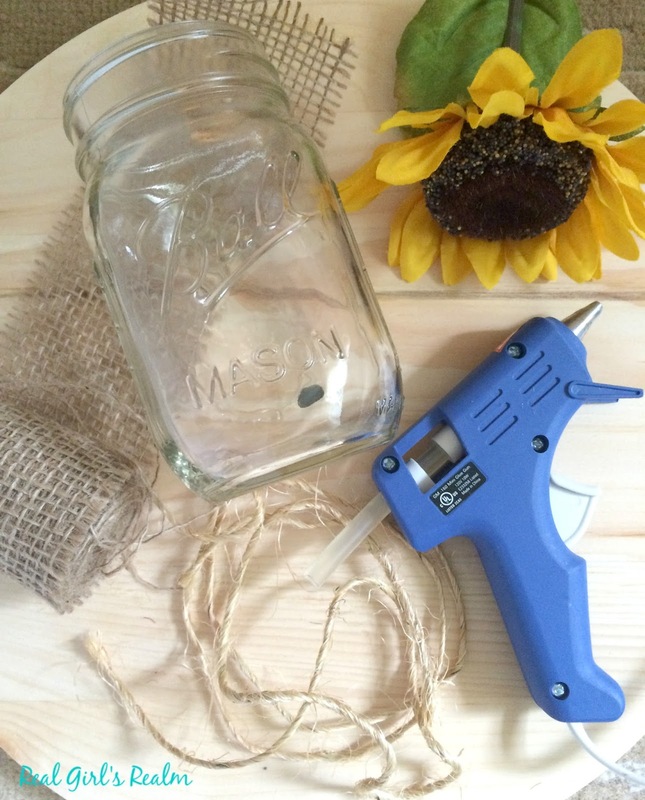 Arrange the jars in the wooden tool box and insert the flowers. How easy is that??? I arranged leaf garland and a couple of pumpkins (from the Dollar tree) around it for a little extra color. To prepare for the party, I purchased some small paper cups from Target's dollar spot, to use for the soup. I also found some burlap chalk board tags to use to identify the soup flavors. All of the soups are 200 calories or less per serving and have a "cool grip" rim, which is perfect for popping in the microwave at work! The soups are made with the freshest ingredients and offer vegetarian, vegan, and gluten-free options. They are great by themselves or used as an ingredient in a dish, such as a casserole or pork roast. The flavors got rave reviews and one of my guests said the Tomato Bisque tasted a lot like the one from a popular restaurant chain! My favorite was the Broccoli Cheddar; it was creamy and tasted homemade, with large pieces of broccoli. Which flavors do you want to try? 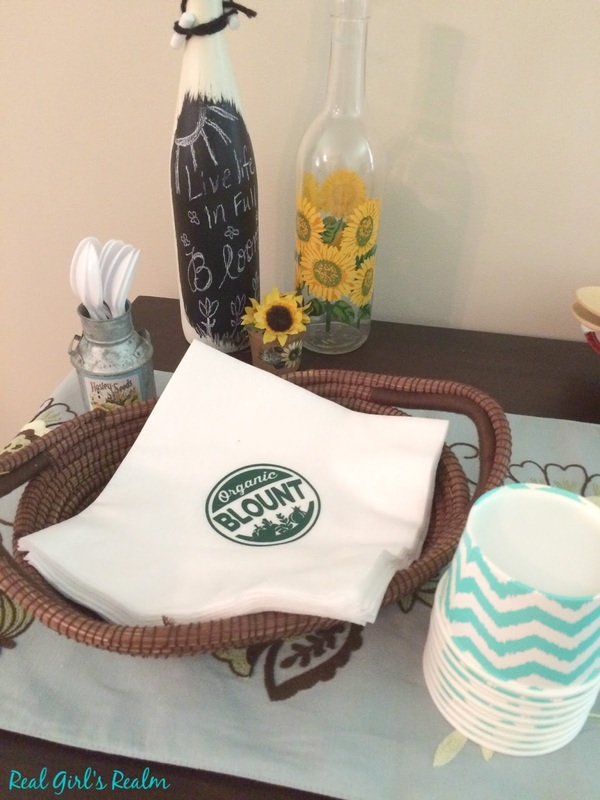 Find out where you can buy them HERE! They can be found in the refrigerated section, not the canned soup section. Disclosure: This is a Featured Party opportunity from Tryazon. 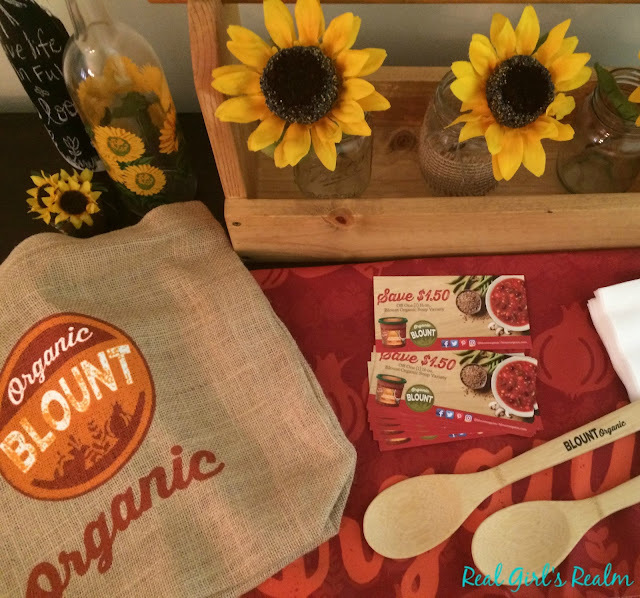 I received free coupons for Blount Organic Soups for review purposes, but all opinions are my own. Yum! I am looking forward to soups and chili again this fall. The minestrone soup looks really good to me right now. I know, Carrie! Even though the weather is not cooperating yet, I am getting ready! So cute! I agree - it's hard for me to enjoy soup in the Summer. It's very rare when I get a craving but come Fall - I'm ALREADY craving some! Me too! I wish the weather would hurry up and cool down! These are totally adorable! They would look fantastic in our cabin, I can't wait to try this one out! Thank you so much for sharing your creativity with us!! Oh, and the Broccoli Cheddar is totally calling my name! Thank you so much for your kind words and for sharing this! I hope you will make them! You have to try the broccoli cheddar...its soo good! I am so glad I was able to come and try the soups! I am glad too! Let me know if you try the other flavors with your coupon! 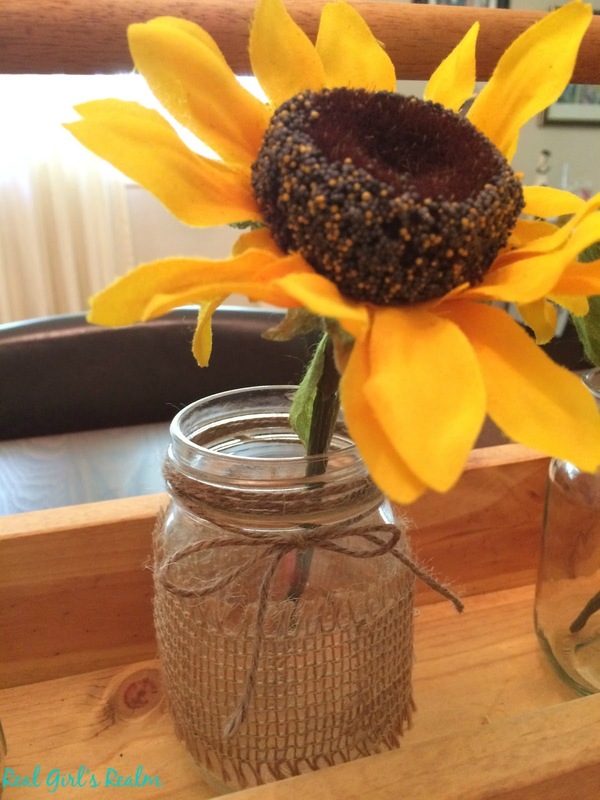 Cute centerpiece! It turned out so well and looks pretty easy too! Thank you Laura! It was so easy!